[Idea/Question] What do we want? More Boss/World Crossovers! When do we want em? NOW! I want to see some kind of crazy s*** where you see villains from Disney worlds entering other Disney worlds (other than Pete and Maleficent). I mean if they were all able to meet up @ Hollow Bastion to hold meetings (All of KH1, lol) and...I mean we did see Ursula randomly appear @ the ocean of Destiny Islands in KH3D for no reason at all other than that she was revived by someone who knew where Sora and Riku were. So we know all of the Heartless villains are able to go to other worlds! I feel bringing back more communication between the villains and seeing this kind of teamwork would bring back an enhanced Kingdom Hearts 1 feel. Imagine Cerberus terrorizing Pride Rock, Hades rising out of the molten copper @ Hunchback of Notre Dame, and etc? WHAT BOSS CROSSOVERS WOULD YOU WANT TO SEE? PS: If there weren't boss crossovers, I'd at least want to see them all come together, I love the thought of that... Mickey's House of Mouse, am I right? Hmm, yeah, I get what you're saying! It would be pretty cool to see villains aside from Maleficent and Pete appearing in other Disney worlds! I'd be all up for it! Just imagine Hades conversing with Mother Gothel! Gothel: So long as Rapunzel remains with me, I shall remain young forever! I must not let the royal guars find her! I don't know exactly what I'd like to see, but I'd like to see more crossover stuff going on in a Square/Disney crossover. I think having these interactions isn't necessary , but it'd just be so friggin' cool. Or when you see personalities of villains from different worlds that matches/heavily differs. Ok, for the Ursula thing, it's pretty much suggested that she was just an illusion, a "Phantom Ursula", created by Yen Sid for the sake of the Mark of Mastery Exam. I mean she really had no place being on Destiny Islands, she disappears out of nowhere with no explanation, and also she's freaking dead! Yeah she's been brought back to life before (but honestly I'm more interested in who was responsible for THAT in KH2), but she didn't really contribute anything to the plot beyond giving Sora and Riku...okay just Sora, a boss battle to learn the ropes of the game, so really to assume that she had some kind of bigger role in some kind of "grand scheme" is just a bit of a stretch. I'm only debunking this because as an example I don't feel it's very fitting, as technically it's not the real Ursula. As for the idea...eh, maybe. I mean, at this point I'd rather just let Xehanort have his show and Maleficent and Pete do something impressive that makes them a legitimate threat for a good while before Xehanort reminds you of how dangerous he is again. KH3 is supposed to be mostly about Xehanort. But with a new chapter of KH on the horizon, I'd say the possibility of the villains getting back together or new villains getting together is a little more plausible and usable of a premise. At least until they try to establish the new threat of the new chapter, having the Disney villains form an unholy alliance again will certainly help keep the series moving. I just don't think it should happen before the end of the current saga. leave it for when it's absolutely needed again. After Riku and Sora head out on their raft from the Destiny Islands to begin their Mark of Mastery exam, an apparition of Ursula rises out of the ocean in her giant form following the sudden strike of a storm, shocking both Keyblade wielders. She reveals that she was revived again by "someone" who knew where Sora and Riku were, then destroys their raft and begins attacking them with her tentacles and magic. When Ursula is defeated, she used the whirlpool to drag Sora and Riku underwater and towards the Keyhole to Traverse Town. I want to venture that while it could be debated whether she is real or not, I think Yen Sid isn't THAT powerful. If he was, he could just summon clones of all of the Heartless villains to do his bidding over and over again and just wreck the whole....everything he wanted, AKA Xehanort. Also, the link "someone" leads to Master Xehanort. Just sayin'. Also, Ursula is only 1 of 3 major examples I could think off the top of my head of bosses crossing over. Yep, it's definitely a badass idea! Um, yeah, notice that was taken from a WIKI, which could be edited by anyone, including any other fan who just so happens to buy that theory. Also, just because someone "could" do something doesn't mean they will. And for that matter it could probably take a lot out of him to do that many at once. In any case I could have sworn there was a journal report or a Nomura interview that introduced the idea of Yen Sid conjuring up a fake Ursula (anyone like Flaming Lea care to confirm or correct me on this? My memory is honestly a little fuzzy). And anyway, he's often regarded as the most powerful sorcerer in the entire Disney Universe, I would think, at the very least, he would be capable of creating a fake giant Ursula who's only there for a limited amount of time anyway. It's not too far fetched, we've seen what just his hat alone can do. And if Nomura is going to take the easy way out and say that Sora and Riku's younger appearances in their cost-free time travel is just due to "Yen Sid's magic", then why shouldn't the convenient appearance of Ursula be considered as being caused by that as well? The only reason Riku and Sora got swept up was because of the waves caused by THE STORM. Ursula vanished before she could even do anything that would have moved the waves, and the storm was already shown to be getting pretty rough before she interrupted. Really all she did was break the rafter apart, making it harder for them to navigate the waves when the storm really kicked into higher gear. Xehanort was going to hijack the exam whether Ursula caused them to stumble onto the Sleeping Keyhole or if it was just the storm by itself. If Ursula hadn't had shown up, the waves likely would have knocked the raft over anyway, so Ansem still would have been able to act as an anchor for Xehanort to reach the Realm of Dreams. This means that there would be no point for Xehanort to go to the extra effort of bringing back someone who's basically less useful to him than Maleficent just to push Sora and Riku somewhere where they would have ended up anyway. With this in mind, Yen Sid making a facsimile of her as an initial branch of the exam is the only other logical explanation that really works here. Yes, the waves still would have taken them to their destination, but the whole point of the exam in the first place is to test Sora and Riku, meaning that an opportunity for them to be tested can and should present itself at any given opportunity, so it still has more place there than just being randomly summoned up by Xehanort. I see your point, but since I'm a Disney hater I disagree with you. The main reason why KH2 is above KH1 in my list is because that role is taken by the Organization members. What I'm trying to say is that Maleficent and the other weak Disney bosses had their turn and failed, same goes for the old Organization, now it's the new Organization's turn, there's no point in making a Disney villain faction similar to the one that existed in KH1. No one knows who summoned her actually, but it doesn't really matter. It could be Yen Sid, Young Xehanort, Xemnas, the Robed Figure... It doesn't matter, she's just dead now. Why in the hell is Yen Sid not a warrior of light if he is so OP? ;-;Not to branch into another topic but, also, why wouldn't he have a keyblade? He wouldn't be the only old dude with one, and he wouldn't be the only Disney character with one. You do know Yen Sid is a Keyblade Master, don't you? We just haven't seen him in action yet. It's something I've wanted for a long time. It seems a waste to have created a universe with bountiful colorful characters and a universe that supports travelling to different worlds, and then limit yourself to just recreating the plot of the movies rather than create new interactions and sights. In KH BBS it's stated that Master Eraqus, Master Xehanort and Master Yen Sid are the three Keyblade Masters. Xehanort taught Ventus and later on Vanitas, Eraqus taught Aqua, Terra and later on Ventus, and Yen Sid taught King Mickey. It's said throught the games several times, Yen Sid is a retired master, so it isn't ceirtan if he can actually use the keyblade anymore. I guess he can anyway. Q: When did the King become a master? Nomura: During Birth by Sleep, the King is in the middle of his Mark of Mastery exam. Therefore, by the time of Kingdom Hearts, he has become a Keyblade Master. Yen Sid is a retired master and he can proctor the Mark of Mastery exam. 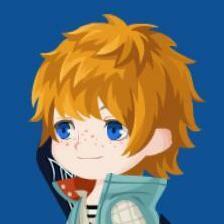 Thus, this time, he will administer the test to Sora and Riku. Exactly! I agree. I mean recreation is okay to a point...but for every single world? Olympus Coliseum being an exception, because of Cloud/Hades manipulation. I'm guessing it was Robed Figure or Young Xehanort, but we don't know for sure, and I really doubt that we'll ever know since it was a minor boss fight. Um, Birth by Sleep? If the fact that he was training Mickey to be a Keyblade Master wasn't enough proof, Master Eraqus later says "I just received word from my dear old friend Yen Sid. As you know, he is MASTER no more." As in KEYBLADE MASTER. There is literally no other context to suggest otherwise, and coupled with the fact that only a Keyblade Master can proctor a Mark of Mastery Exam, since we've already seen him in charge of not just Mickey's, but also Sora and Riku's, there is an overwhelming about of evidence and literally stated fact that Yen Sid IS indeed a Keyblade wielder. The thing is, he is a retired wielder. Both Eraqus and Yen Sid himself claim that he has given up the title to act as a guardian of the balance of light and dark and as a sage of wisdom for many other Keyblade wielders and planetary travelers alike. He's still a master in magic so whether he's actively wielding a Keyblade or not, everyone still refers to him as "Master Yen Sid". And if you STILL don't believe me, then consider one of the aftermath scenes we see during the credits, where Mickey is just about to give up being a Keyblade Master and go home defeated. Yen Sid not only convinces Mickey to continue, he literally hands him back the Keyblade to do so! He's holding on to it to hand to Mickey. It wasn't held in his hands to be forcibly drawn back to Mickey's like we've seen with Sora and the Kingdom Key several times in KH1 and KH2, it stayed in Yen Sid's hands the whole time right up until Mickey physically took it into his own. This shows that Yen Sid, if nothing else, has the qualifications to wield a Keyblade. Take this in consideration with his already established familiarity with both Keyblade Masters Eraqus and Xehanort, his training of Mickey, and his vast knowledge of the Keyblade and the forces of Light and Darkness, and you pretty much have all you need to be convinced that he was and is a Keyblade Master, he's just discarded the official title and chooses not to wield one. - Yen Sid IS indeed a Keyblade wielder. The thing is, he is a retired wielder. - he has given up the title to act as a guardian of the balance of light and dark and as a sage of wisdom for many other Keyblade wielders and planetary travelers alike. - Yen Sid, if nothing else, has the qualifications to wield a Keyblade. >Lights totally beat down the darknesses, Xehanort completely "dies"
>"Light" spreads all over the worlds>Yen Sid realizes there is "too much light"
>Becomes hardest boss in the entire series. As I said, Xehanort's plans would have continued regardless if Ursula was there or not, so really it makes no sense for her to be a pawn in his plans when she's completely pointless. If it was Maleficent that was there (ignoring how unfitting the setting of a dragon in the middle of the ocean would be), then it would have made more sense if Xehanort was the one that summoned her, since she was basically the more significant Disney villain he went to as a pawn, Ursula is just one of Maleficent's many pawns. Xehanort would be relying on a pawn of a pawn in order to further a plan that is pretty much self-reliant and doesn't need Ursula anyway, so again, a pointless effort. Regardless if it was Xehanort or Yen Sid who summoned her (money is still on Yen Sid), she's a relatively unimportant character in the grand scheme of things, and even in DDD she only served as an opening boss. I really doubt that Ursula will be brought back in any context in KH3, there's really no other use for her at this point that wouldn't feel redundant and repetative. We've already exhausted her role in The Little Mermaid and she already served as an introductory boss for DDD, at this point any other inclusion of her, unless it was part of a reformation of the Disney Villains as a whole, would just be a tired repetition of what we've already done. And really all of the villains have already been fought at least twice in the series already, so at this point the only villains I can think of that would make sense to fight again would be Maleficent, Pete, and Hades. 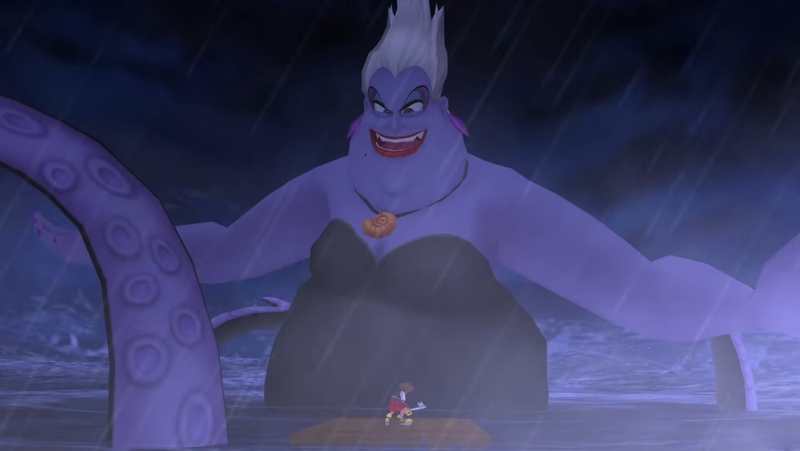 Ursula is just kind of small game compared to them, let alone Xehanort and his forces. I kind of doubt they would go as far as turn an iconic Disney protagonist into a villain in the same vein as Xehanort, but as a joke it's funny nonetheless. X)"